Just over 100 miles from New York City, Montauk is a frequent weekend getaway for New Yorkers, which—although convenient—can lead to some heavy traffic and delays on Friday and Sunday afternoons. According to the United States Census Bureau, Montauk is a hamlet, simply meaning a type of unincorporated settlement within a larger town. In total, the hamlet of Montauk has an area of 19.8 square miles, of which 17.5 square miles are land and 2.3 square miles are water. 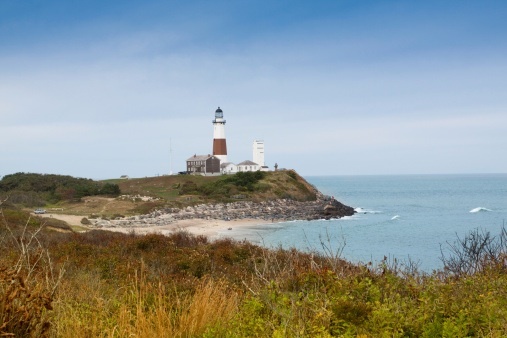 Of course, geography and climate go hand-in-hand, and Montauk’s moderate climate makes it no surprise that it’s such a popular vacation spot all year round. Regulated by the Atlantic Ocean, which helps prevent large temperature fluctuations and extreme temperatures, Montauk usually experiences moderately cold winters and moderately hot summers. With it’s small size, exclusive feel, beautiful scenery, and temperate climate, it’s easy to see why Montauk is such a popular destination and the perfect setting for Dr. Lewis Gross’ novel Montauk Tango. This entry was posted in Montauk and tagged climate of montauk, Dr. Lewis Gross, geography of montauk, Lewis Gross, Montauk, Montauk best seller, montauk climate, montauk novel, montauk ny, Montauk Tango, novel about montauk, restaurant novel, The Hamptons. Bookmark the permalink.